As the liner notes for ISB's self titled debut (Elektra EKS-7322) tell it, in the mid '60s Robin Williamson was singing traditional Scottish ballads, MIke Heron was in an r&b group and Clive Palmer was playing ragtime banjo. As we all know, the world then went through some kind of strange wormhole and out came a warped universe that turned a skiffle band into the Beatles and an American idolizing r&b cover band into The Rolling Stones. That's obviously an oversimplification but how else to explain what occurred back in the 1960s? Look at what happened to this group of traditional folk singers! The group's first album issued on Elektra's more expensive four digit series came and went, attracting a small following in America for what was an album of folky, traditional originals performed with chipper high energy and a nod to Bob Dylan. The multi-instrumentalists played banjo, guitar, fiddle, pennywhistle and mandolin. After its completion, Palmer left for Afghanistan and Robin went to Morocco. Uh, oh. Upon his return, Palmer left the group. Williamson and Heron continued on as a duo, releasing Layers of the Onion (EKS-74010) in 1967, which featured one of the most memorable psychedelic covers of the era. The album veered from folky to world music before there was such a term. The songs were far more introspective and drone-like than before and infused with a strong Indian influence. 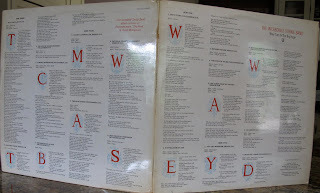 The album concluded with a wry song called "Way Back in the 1960s" that mimics Dylan while referencing him in the lyrics. "You made your own amusement then," Williamson sings, "...you could eat a real food meal." That was before WW III of course. I remember listening to it "back in the '60s" thinking what it would be like hearing it way in the future when it would be appropriate to say "back in the '60s" and I can assure you, it is nothing like I imagined it might be—except for vinyl still being around. Just as The Beatles veered away from poppy tunes, the Williamson/Heron duo deep into the metaphorical woods and on the cover of their next and possibly finest album, The Hangman's Beautiful Daughter seemingly into the real forest. 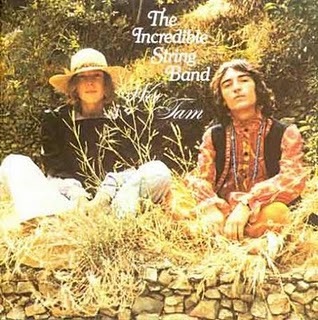 The hippie/back to nature era was now in full swing and the cover created the image of a communal band of men, women and children who seemed to slip back in time. Surely the photo was staged with props but somehow it appeared legitimate and it was easy to believe this band lived in the forest and for all we knew, grew out of the dirt. The music became denser and more convoluted. The lyrics dealt with the big issues of life and death seemingly from a druid's perspective. These limeys were positively loamy! And as a college-aged kid from the 'burbs I ate it up and bought into every word and atmospheric musical element. So did all of my friends. You could put that album on and be transported to a different time and definitely a different place filled with odd spirits, mythical beasts ghostly apparitions. It was the most unlikely of scenarios but we bought in and the musical duo delivered aided by increasingly ambitious production by engineer John Wood. We weren't alone, either. The ISB was big at this point, selling out large concert halls. Next came the double LP Wee Tam and The Big Huge (Elektra EKS-74036/7) recorded in the Spring and Summer of 1968 and issued in November of 1968 as two separate albums in America for the Christmas gift giving season. 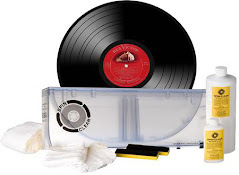 Yes, back in the '60s records made great gifts. Just as they do once again! The cover was unusual in that both the back and front were just lyrics. The interior gatefold was a photo of just the duo, even though their girlfriends contribute their angelic voices to the mix. While the cover photos on the American issues move the boys from the dank forest into the sunlight, the music continues its mystical, serpentine path, though somewhat more tunefully. You can almost imagine Richard Thompson and Linda Pettifer (Peters) harmonizing to the Appalachian-like "Log Cabin Home in the Sky" with Linda taking Williamson's higher part and Thompson Heron's lower one. But that's probably just my imagination running away with me. The songs contain earthy, religious imagery, life/death questions, exaltation and dark mystery. The music veers from sturdy American hymns to the old English folk music from which it sprang. Somehow, forty three years later it has not turned stale or dated, nor does it sound overly precious. Some of the songs like the opener, "Job's Tears" are long, ambitious complex constructions, others like "The Yellow Snake" are pristine reflections, while the Heron's instrumental "Beyond the See" never fails to delight and surprise—and that's after listening to it for more than forty years! The atmospherics are deep and wide thanks to the unerring brilliance of engineer John Wood in his tiny Sound Techniques space where some of the greatest UK folk music was recorded—everyone from Fairport Convention to Nick Drake. Wood's ability to capture the sound of an acoustic guitar was astonishing and despite the many overdubs, the vocals sound pristine. Everything from the silky sounding sitars to the well-textured tablas and other percussion instruments was captured brilliantly by Wood. While the jacket says "manufactured by Rhino," there's no indication of who mastered this or what the source was. 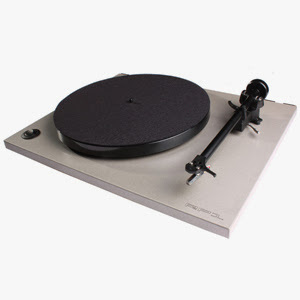 Nor do I know where the 180g LP was pressed. That said, whatever the source and whoever did the mastering and wherever this was pressed, the sonics compare quite favorably to the original UK and American pressings. Though the images are not quite as delicately wrought as the original, they are still finely drawn and the original's three dimensionality and airiness has been preserved. If this was cut from a digital master, it must have been a high resolution file. If this is 16 bit/44K, I'll eat a compact disc. The thick slab of a pressing was quiet and well produced and the paper on cardboard jacket completes a very nice reissue. Highly recommended as is the companion disc The Big Huge. I just wish 4 Men With Beards would divulge the source and mastering information. the ebook i was selling about collecting vinyl records is now off the market, getting some well-needed updating and revisions. i hope to have it done as soon as possible. i am toying with the idea of launching a new site dedicated to album cover art. anyone interested in joining me on this project, let me know. also, i am open to suggestions, what do you want to see? I am also working on getting more material to the blog. right now, i pick and choose music news and other interesting stories on the net and pass them along to you. i am certainly open to suggestions on the best way to improve the blog, so please email me at rbenson30@wi.rr.com with your comments! It's been 20 years and not much has changed; just as word becomes official the band are about to reach into their archives, this other band from Washington state you might remember is about to release a 20th anniversary of some album called Nevermind. The Screaming Trees will are ready to write the final chapter of their incredible musical story when they release Last Words: The Final Recordings digitally on August 2; a CD/vinyl release is planned but still being finalized. The members of Screaming Trees had their ups-and-downs, culminating in a hiatus in the mid-'90s. 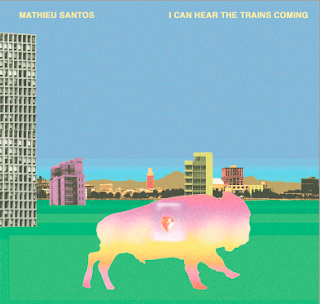 Old Flame Records is pleased to announce the debut release from Mathieu Santos. Limited to a pressing of 300 green vinyl 7-inch records, I Can Hear The Trains Coming will be available July 26, 2011. To celebrate the release, Old Flame Records is making the title track A-side available for free download. Flip the wax and the B-side features "Northern Mentality" (MIDI Demo) which will exclusively be available on the limited edition pressing. ZOO MUSIC is pleased to announce Dirty Beaches' critically acclaimed Badlands full-length album is available worldwide. The record will be limited to a first pressing of 500 rare black vinyl records and distributed in the UK and EU by Italian Beach Babes for an exciting new partnership that will make ZOO's releases more affordable outside of the United States. The records can also be purchased directly from ZOO MUSIC. Finnish metallers GHOST BRIGADE will release their third album, "Until Fear No Longer Defines Us", on August 19 in Europe and August 23 in North America via Season Of Mist. 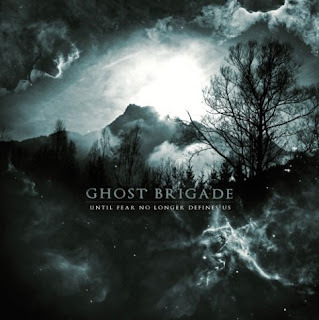 "Until Fear No Longer Defines Us" will be released as a CD digipak limited to the first pressing, a double gatefold coloured vinyl with digital download card, and a collector's box with CD digipak, regular or unisex t-shirt, leather bracelet, postcard hand-signed by all band members and metal button badges. Red Hot Chili Peppers bassist Flea has described the band's new album as "very dynamic". The Californian four-piece will release their tenth studio album I'm With You on August 29, with Flea - real name Michael Balzary - explaining that the record contains a mixture of different moods. Bruce Springsteen has recorded a duet with 92-year-old folk legend Peter Seeger. The track, 'God Is Counting On Us', was apparently written by Seeger in response to last year's Gulf Coast oil spill and will appear on his upcoming studio LP. Phish’s Super Ball IX will not only feature the return of the House of Live Phish but also the band’s own JEMP Record Store. While the store will offer a variety of catalog items it also will offer exclusive new vinyl releases on each day of the festival. These items will include the first-ever vinyl appearances of the The White Tape (on 180g white vinyl) and Party Time (2 LPs on 180g vinyl). In addition, “Two Soundchecks” will be offered on 7” vinyl. This record previously appeared in April during Record Store Day. Information regarding the days and times for these releases will be available on site. Spin Doctors to Mark 20 Years of "Two Princes"
The Spin Doctors will commemorate the 20th anniversary of its debut album Pocket Full of Kryptonite with a deluxe two-CD release on August 30 through Epic/Legacy. The album features remastered versions of the original songs such as hits “Two Princes” and “Little Miss Can’t Be Wrong,” along with unreleased demos and live recordings. In May, the band reunited for a string UK dates where they performed the Kryptonite album in its entirety. Next week, the group kicks Summer US Tour and is also expected to announce a major fall 2011 Tour. The seminal NY-based jamband rose to national fame in the early ‘90s, selling over 10 million copies of Kryptonite worldwide. In 1992, The Spin Doctors toured the country alongside Phish, Blues Traveler, The Black Crowes and others as part of the H.O.R.D.E. tour. 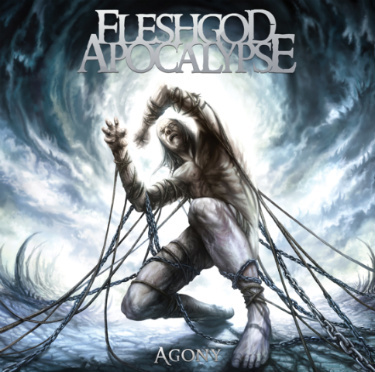 Italy's brutal/symphonic horde FLESHGOD APOCALYPSE has revealed the cover art for the band’s Nuclear Blast Records debut, Agony. Marco Hasmann, who worked with the band on the previous releases, Mafia And Oracles, crafted the record’s intricate cover design. The Bangles are readying their first album in eight years, Sweetheart of the Sun, which will be released via their new alliance with Model Music Group on September 13. Sweetheart of the Sun will be the fifth album in the 27-year history of the group that gave us Manic Monday, Walk Like an Egyptian and Eternal Flame. The three original members, Susanna Hoffs and sisters Vicki and Debbi Peterson, continue to be the principles in the group. With his own new label, Hank3 Records, and the sense that he has thrown off the chains that have been holding him back, Shelton Hank Williams III, aka Hank 3, is coming out swinging with the release of four records on September 6th. That's right -- four. The unprecedented launch, in a distribution partnership with Megaforce Records, features a broad range of music that bridges more than one head-thumping genre - a familiar theme that true Hank 3 fans have embraced for years. 'Ghost to a Ghost/Guttertown,' a double-album set, is a straight-shooting country collection, flavored with Hank3's trademark hellbilly sound and heavily weighted with Cajun influences and an ambient, lonesome mood, along with a few very special guests including Tom Waits. In 1966, the final Beatles world tour kicked off in Munich, Germany as the Fab Four saw "Paperback Writer" leap from number 15 in the US to number 1. Although John Lennon was the Beatle who actually wrote books, the song was penned by Paul McCartney. Also in 1966, the Beach Boys, the Byrds, Love, Captain Beefheart, the Lovin’ Spoonful and Percy Sledge all appeared at The Hollywood Bowl, Hollywood, California. In 1967, during a North American tour, The Jimi Hendrix Experience gave a free afternoon concert in Golden Gate Park, San Francisco. They then played another two shows that evening at the Fillmore West. Also in 1967, 40 million people saw The Beatles perform “All You Need is Love,” live via satellite as part of the TV global link-up, Our World. Mick Jagger, Keith Richards, Eric Clapton, Graham Nash, Keith Moon and Gary Leeds provided backing vocals. In 1969, the Hollies recorded "He Ain't Heavy, He's My Brother," with Elton John playing piano. 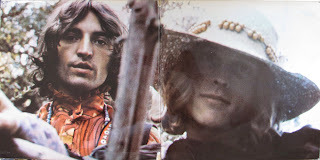 Also in 1969, Mick Taylor made his first concert appearance with the Rolling Stones after he had replaced Brian Jones. In 1975, Tim Buckley, a popular performer and song writer during the 1960s and early 70s, died from a drug overdose at the age of 28. 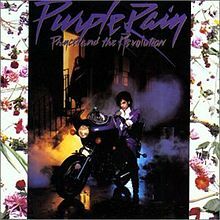 In 1984, the soundtrack "Purple Rain" was released five weeks ahead of the film. In 1987, songwriter Boudleaux Bryant died. With his wife Felice, he wrote The Everly Brothers hits “Bye Bye Love,” “All I Have to Do is Dream” and “Wake Up Little Susie” and “Raining in My Heart,” a hit for Buddy Holly. Other acts to record their songs include Bob Dylan, The Beatles, Tony Bennett, Simon and Garfunkel, Sarah Vaughan, the Grateful Dead, Dolly Parton, Elvis Presley, The Beach Boys, Roy Orbison, Elvis Costello, Count Basie, Dean Martin, Ruth Brown, Cher, R.E.M. and Ray Charles. The team also composed "Rocky Top," which became an anthem for the state of Tennessee. In 1988, Hillel Slovak, original guitarist and founding member of The Red Hot Chili Peppers died from a heroin overdose shortly after the band returned from a European tour. Slovak recorded two albums with the band, Freaky Styley and The Uplift Mofo Party Plan. Also in 1988, Jimmy Soul, who hit #1 in the US in 1963 with the novelty tune "If You Wanna Be Happy", died of a heart attack. He was 45. In 2003, the RIAA announced that it would fight internet piracy by suing individual computer users who they found were downloading music. In 2004, Eric Clapton raised about $7.5 million for a drug addiction center he set up in the Caribbean by auctioning off some more of his favorite guitars. The items that were sold were the "Blackie" Stratocaster that Clapton played from 1970-1985 for $1 million, a 1964 cherry-red Gibson for $847,000 and a 1939 Martin acoustic that Clapton played on his "Unplugged" album went for $800,000. In 2006, Turkish-American music producer and arranger Arif Mardin died at age 74 from pancreatic cancer. He worked at Atlantic Records for over 30 years, before moving to EMI. The winner of 11 Grammy Awards, he worked with Aretha Franklin, Bette Midler, Roberta Flack, Wilson Pickett, Average White Band, The Bee Gees, Barbra Streisand and Norah Jones. In 2009, a Sgt. Pepper souvenir poster bearing the signatures of all four Beatles sold for $52,500 at a Pop memorabilia auction in New York City. In 2009, Sky Saxon, lead singer and founder of the 1960s band The Seeds, who had a Top 40 hit in 1967 with "Pushin' Too Hard", died unexpectedly in an Austin, Texas hospital. At the time of his death, he had been scheduled to begin a tour of the United States and Canada with a reformed versions of The Seeds. On June 25, 2009, Michael Jackson died while in his bed at his rented mansion at 100 North Carolwood Drive in the Holmby Hills district of Los Angeles. Attempts at resuscitating him by Conrad Murray, his personal physician, were unsuccessful. Los Angeles Fire Department paramedics received a 911 call at 12:22, arriving three minutes later at Jackson's location. He was reportedly not breathing and CPR was performed. Resuscitation efforts continued en route to the Ronald Reagan UCLA Medical Center, and for an hour after arriving there at 1:13. He was pronounced dead at 2:26 local time.